The Wisconsin Coalition Against Homelessness, a statewide nonprofit organization, has recently published a new paper of research and recommendations to address the state’s homeless population. 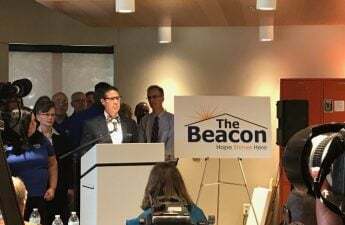 Founder and executive director Joe Volk describes the mission of the coalition as improving the awareness and resources for fighting homelessness through the state government. To carry out their mission, the coalition is currently collaborating and sharing information with state lawmakers in hopes of seeing necessary reforms in the next state budget. One way the WCA is sharing information with legislators is through their new paper, the Hope Act, Volk said. The Wisconsin Hope Act offers a variety of strategies to improve current state homelessness prevention strategies and increase access to affordable housing. The paper also espouses the importance of financial literacy and long-term employment, providing a number of policy proposals to do so. 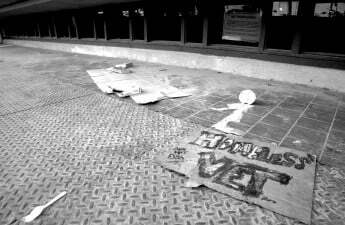 “For workable individuals, increasing their personal experiences and values associated with decent employment, preparing them for the current job market, providing appropriate supports so that they can focus on and keep their jobs, as well as developing basic personal finances and budgeting, will keep them out of the homeless system,” according to the paper. A 2017 report from the U.S. Department of Housing and Urban Development recorded approximately 5,000 recorded homeless individuals on a single night in Wisconsin. The Coalition estimates, however, there are nearly 20,000 people homeless on any given night across the state. For Volk, the paper is the vital next step in improving state’s prevention and housing services. He calls for increased integration between government programs and officials in supportive housing with those of workforce development. The Hope Act calls for increased funding for workforce development services like job coaching to help remove barriers to employment for homeless individuals. It also recommends the establishment of a tax credit for state businesses willing to participate in an integrated program employing the homeless. These strategies could be vital as the state continually struggles to help its homeless population adapt to the workforce. As referenced by the Hope Act, the State Homeless Management Information System records that 34.21 percent of non-disabled homeless adults are employed upon entering the state service system and just 37.24 percent are employed upon exiting. 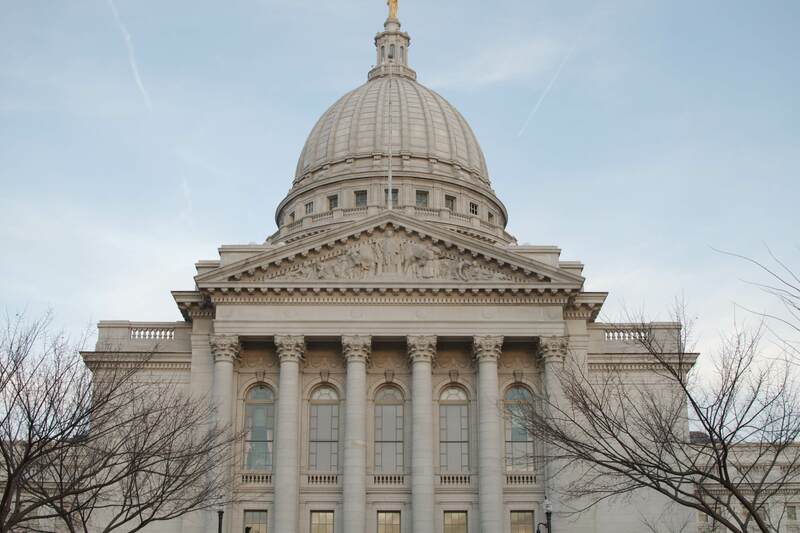 Volk hopes the Wisconsin Hope Act and the work of the Wisconsin Coalition Against Homelessness can facilitate discussion and hopefully make an impact on the state budget ahead. A report by the Wisconsin State Journal shows a number of lawmakers taking significant notice of the paper. Lieutenant Governor Rebecca Kleefisch came out in support of the paper’s recommendations on employment, saying the state needs to partner with providers to ensure the homeless population has necessary skills to take part in Wisconsin’s economy. Kleefisch also believes Wisconsin has the infrastructure to do it, as there are open jobs every day awaiting willing workers. Meanwhile, research at the UW School of Education is taking a different angle on the homeless dilemma in Wisconsin. Professor Peter Miller has been researching how local public schools can play a role in helping homeless families. Miller’s work examines how community-based educational leadership and inter-organizational collaboration can be used in the fight against homelessness. “If schools can be really good about sharing information about jobs, food banks and community programming and provide really solid early childhood education — those are the most effective ways of stunting the growth of homelessness, by intervening at the family level,” Miller said. The Wisconsin Department of Public Instruction recorded 19,264 homeless students enrolled in state public schools for the 2016-17 academic year. Miller explained these schools have a unique power to make contact and connect with homeless individuals and families simply on account of the schools’ universal, free and compulsory nature.